Superman is the man of steel, right? Bulletproof, jumps over buildings, someone you can look to for protection, all that. 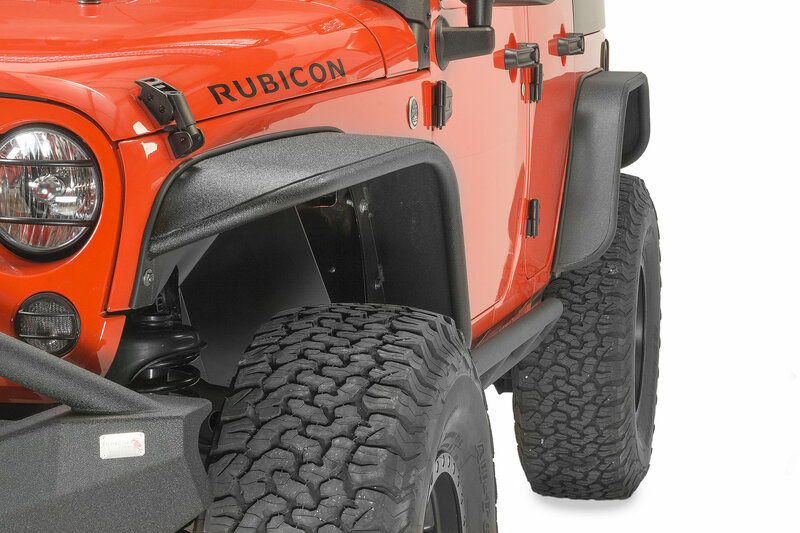 Well, when you want the ultimate in flare protection on your Wrangler JK then look no further than Fishbone's Steel Tube Fenders. 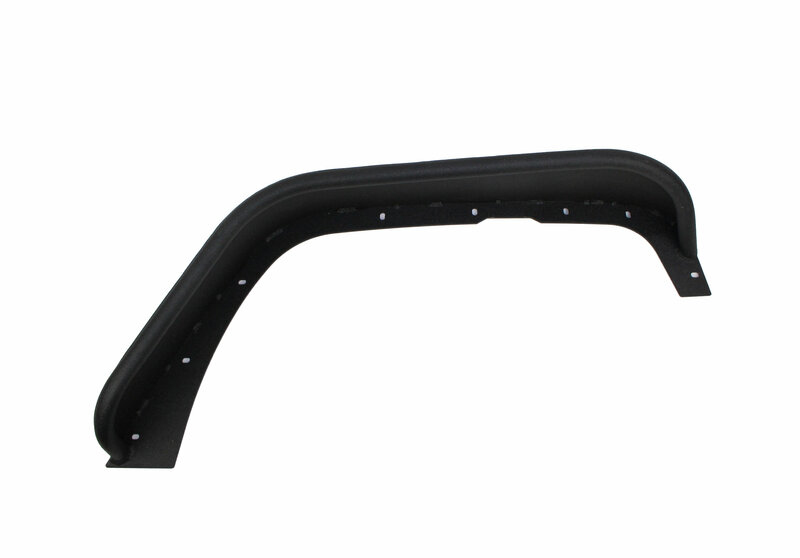 Not only will it revamp the look of your vehicle and eliminate those bulky factory flares, but it opens up your wheel wells and allows you to mount up that set of larger tires you've had your eye on forever. 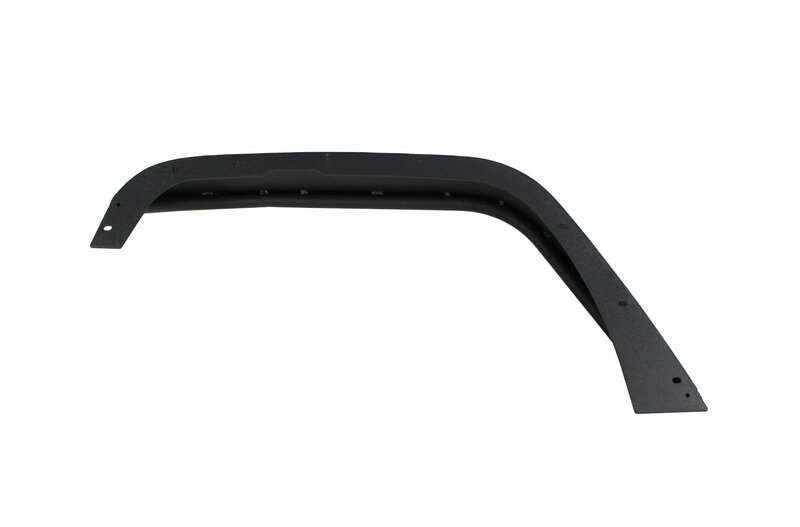 Plus, Fishbone finishes off the flares in a rich black powder coat that accentuates the solid steel construction - virtually guaranteeing you'll be noticed on your next trip around town or trail. Just like Superman. 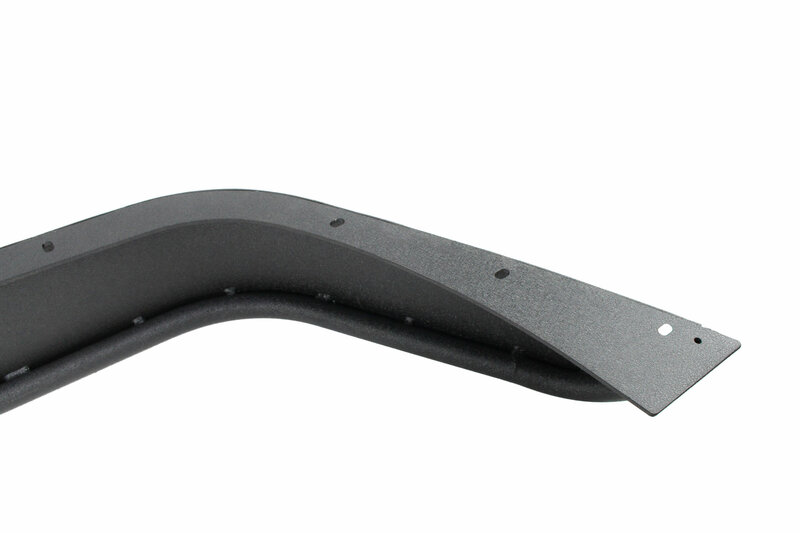 Flares are sold in a complete set of four and include all necessary installation hardware. Solid Steel Strength: Flares are designed with the superior strength of steel so it can absorb trail damage just like Superman deflects bullets. 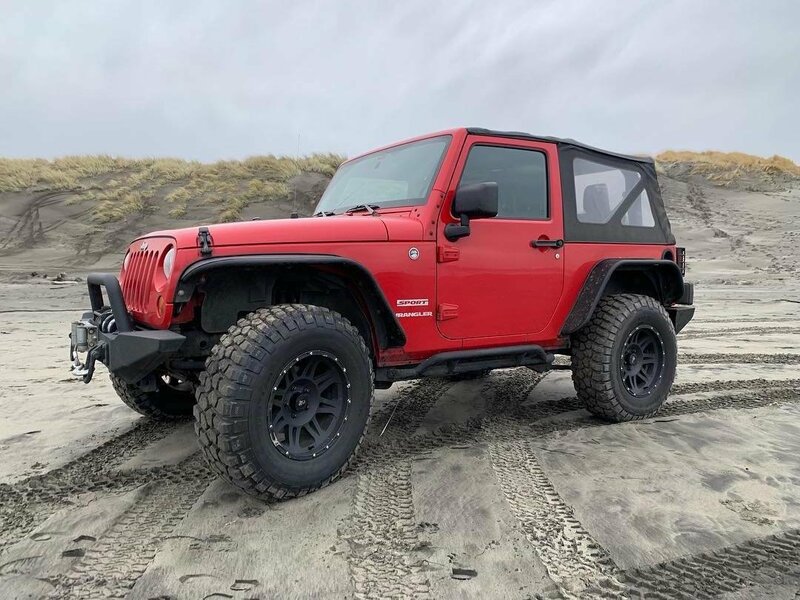 Functional, Eye Catching Design: Fishbone's Steel Tube Fenders eliminate the bulky factory design and allow you to mount larger tires under the wheel wells without the addition of expensive lift kits. 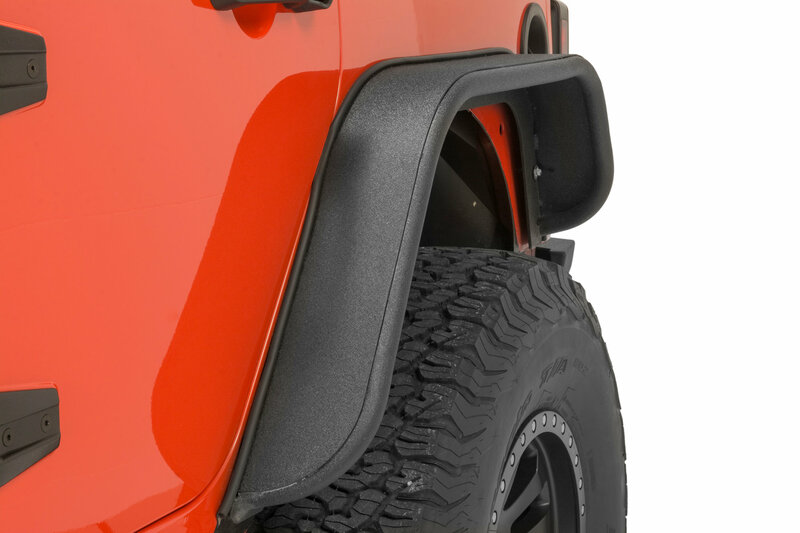 Complete Functionality: Fishbone designs these flares for both the 2-door and 4-door JK Wrangler - Sport, Sahara or Rubicon - so you are covered no matter which one you have. 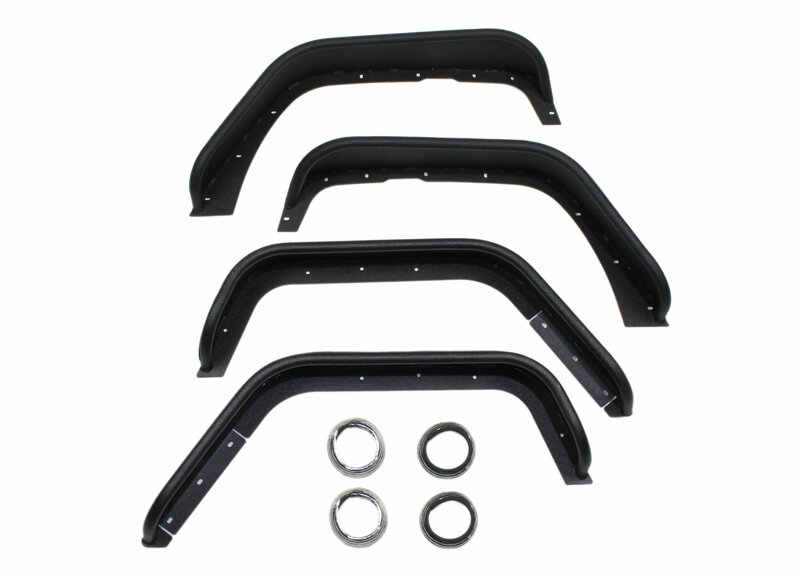 Everything Included For Installation: Kit comes with front and rear flares, as well as all mounting hardware. Awesome look very well made fenders. Not to easy to install the passenger side.. everything else very straight forward. Good quality. 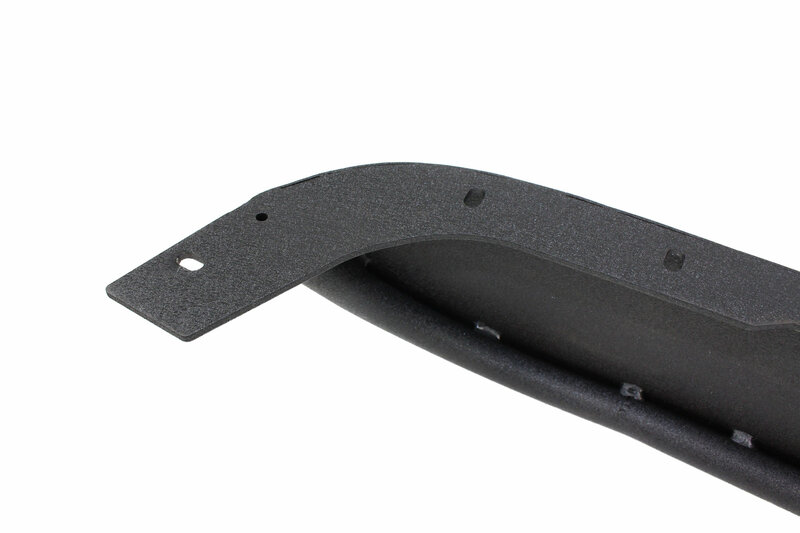 Easy to install once everything is aligned properly. Ripping off stock flares was fun. :) Be very careful with the nutserts as stripping them is easy to do. As for the adhesive on the trim, I highly suggest using additional adhesive to ensure placement as the quality of the double sided tape they provide is shaky at best. I assume the colder temps here in Philly impact the overall strength. 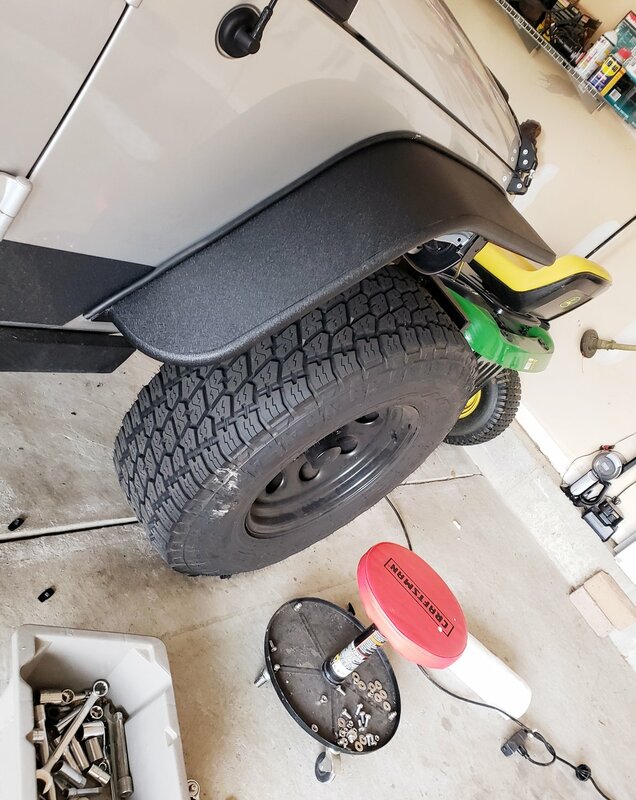 I used duct tape while applying the gasket to the fender flares to ensure proper placement. 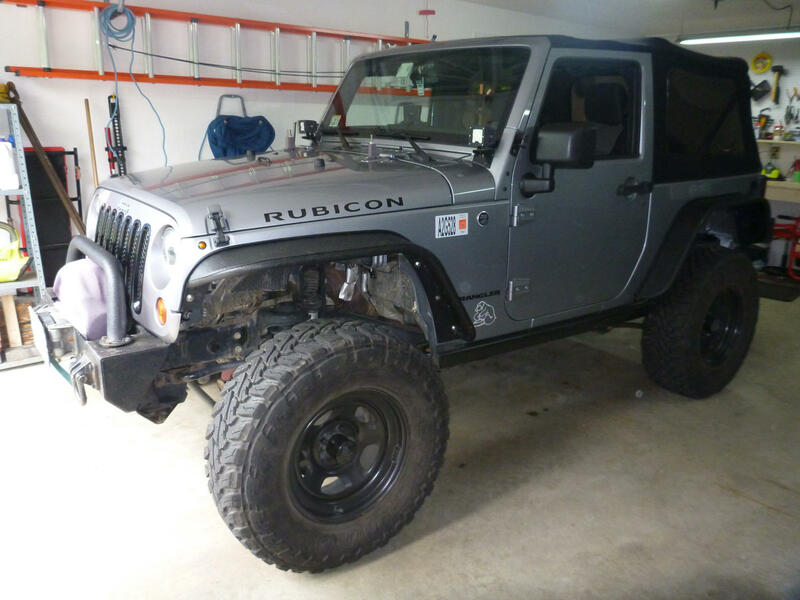 Are these fender flares any wider than stock? Hello, these flares are not as wide as stock flares. 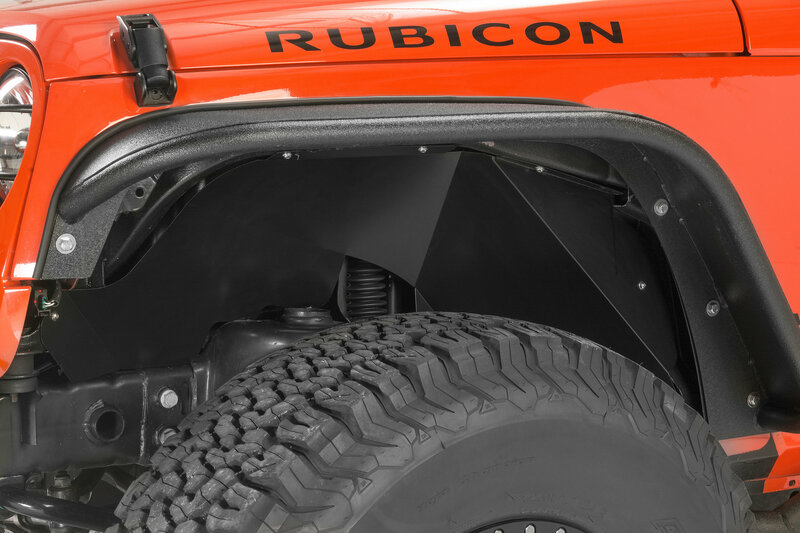 If you measure from under the hood latch, the flares are 8”. Then at the bend location they are 7-1/2” wide. 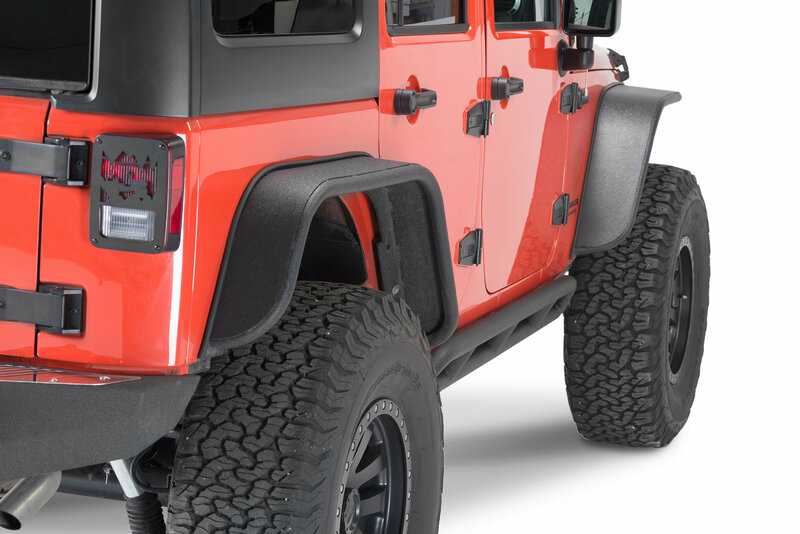 Rear flares are 5-3/8” wide. Thank you for your question.